The multitude of greens in the summer forest creates a wonderful palette of colors, especially with the light filtering through the leaves. Deer are abundant, and with luck, you might spot a bear! 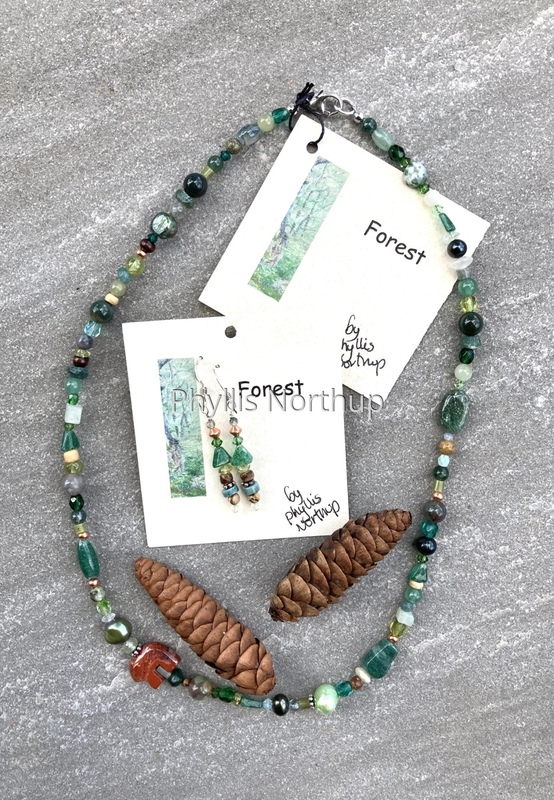 The beads are jaspers, agates, quartz, aquamarine, new jade, rhyolite and other gemstones with Swarovski crystals, Czech glass, wood, and accents of sterling and copper. $85 if purchased separately, offered as a set for $75. Necklace is approximately 16", earrings are a 1" drop.